Tenga New Adult Concept Keith Haring series Soft Tube Cup. Stroker size 2.56 inches in depth by 3.27 inches in width by 6.10 inches. Insertion length 5.80 inches, insertion width 2.58 inches. Weight .28 pound. Other specifications disposable, prelubricated. Materials insert sleeve Thermoplastic Elastomer TPE, casing polyethylene PE, lubricant ring polyurethane PU. Lubricant ingredients Water, Glycerin, Propylene Glycol, Hydroxyethylcellulose, Sodium Polyacrylate, Phenoxyethanol, Methylparaben, Hydroxypropyl Beta Cyclodextrin, IPBC. Internal lubricant Water, Glycerin, Sodium Polyacrylate, Phenoxyethanol, Methylparaben, Hydroxypropyl Beta Cyclodextrin, IPBC Please note the lubricants certified by EU Directive 76/768/EEC toxicological assessment. 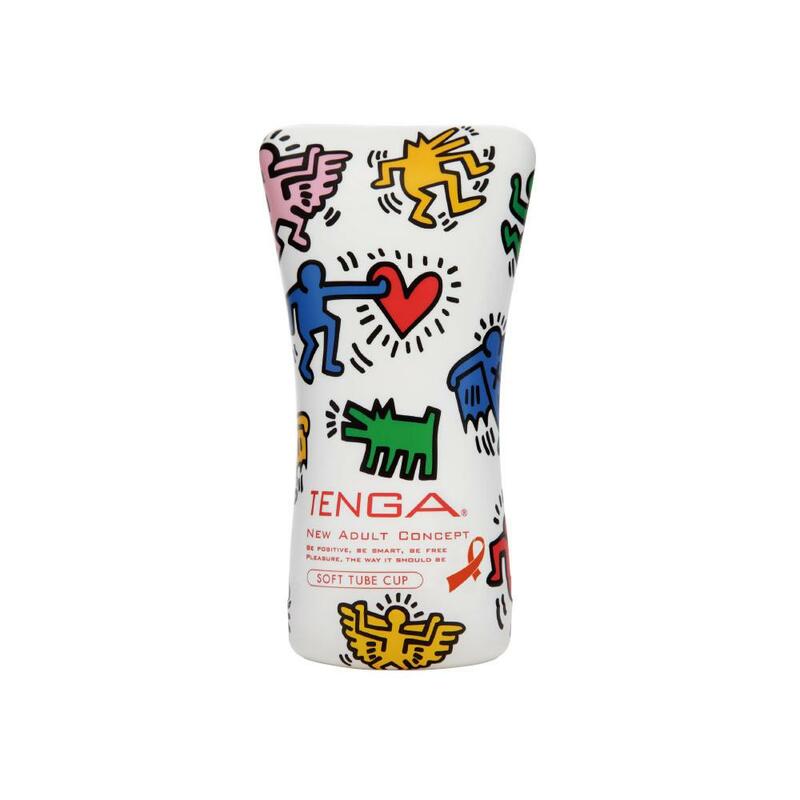 TENGA has collaborated with the Keith Haring Foundation to bring you a series of our best selling male pleasure items featuring Haring's artwork!